Summer Colors Week - Friday + Final Giveaway (Prize Pack)! Happy 1st day of summer! First off wow, we've had over 1700 entires at last look - so thanks everyone! And to announce the winners from yesterdays giveaway. Congrats to @molliegreen who won the Projecteo Instagram projector! And, congrats to @sabinebrandt @grillfusiondesign and @heyladygrey who each won the @Stickygram (instagram magnet) sets! Email us for info! This week has been amazing here and as its the last day of #summercolors13 week for our final giveaway we're offering up a prize pack we think you'll love filled with some of our favourite things from our Chinatown Night Market stall this summer! Top: 1. An animal die-cut letterpress card by Blackbird Letterpress 2. 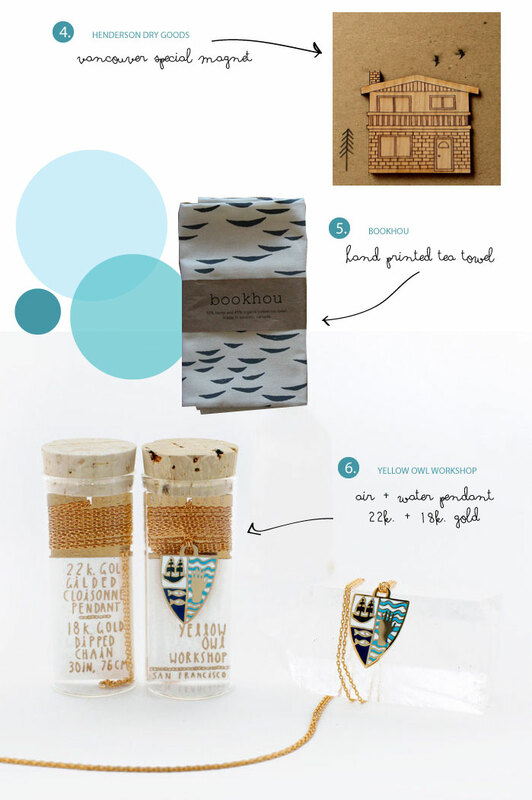 An anchor bamboo brooch by Cabin + Cub 3. 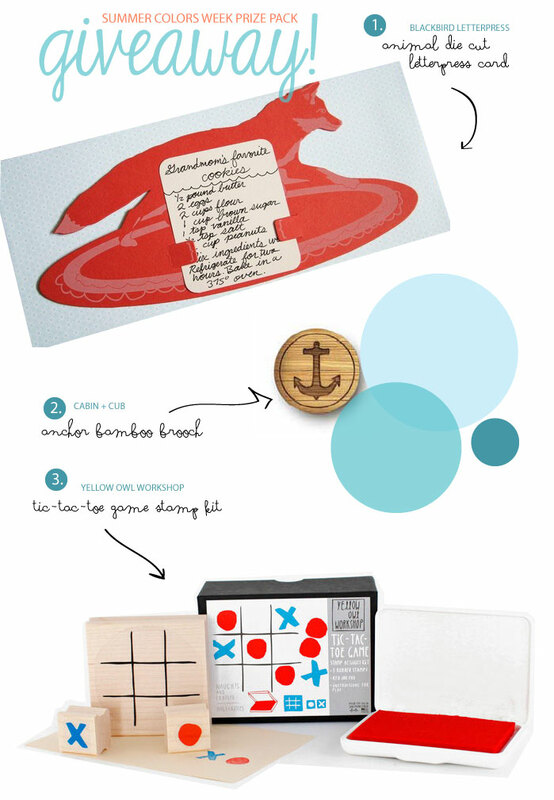 A tic-tac-toe game stamp kit by Yellow Owl Workshop 4. Vancouver Special magnet by Henderson Drygoods 5. Handprinted tea towel by Bookhou 6. An Air + Water Pendant (18k. and 22k. gold) by Yellow Owl Workshop! Thanks so much for participating and making it a magical, colorful week! Good luck! I'll announce the winner at the end of the day tomorrow in the instagram comments section! Update: Thank you everyone, this giveaway is now closed. Congrats to Nancy Straughan, the winner of this giveaway.